Double layered sesame crust stuffed with your choice of toppings. Served with a side of pizza sauce or ranch. The pride of Uccello’s. This pizza is loaded with pepperoni, spicy capicola, ham, sausage and bacon. Served on our hand tossed thick crust with garlic and parmesan. Covered with our special sauce, colby and mozzarella cheeses, taco meat, black and green olives, diced tomatoes and lettuce. Served with sour cream and fresh salsa. 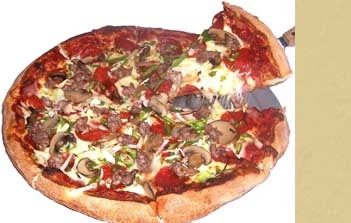 Ham, pepperoni, sausage, mushrooms, onions and green peppers. Served on traditional crust. A Sicilian favorite with Italian sausage, ham, sauteed mushrooms, artichokes, spinach, and sundried tomatoes. 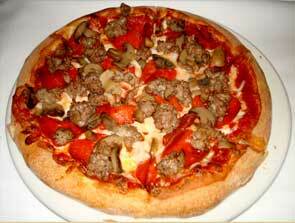 Served on our traditional style crust. 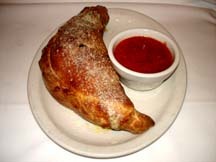 Our famous pizza pocket stuffed with mozzarella cheese and our special pizza sauce. Just the way you like it. Choose three items from pizza toppings to satisfy your hunger. Spicy pepperoni and ham stuffed to its capacity.